The Chinese authorities on Monday announced that they had cracked the biggest case of ivory smuggling. 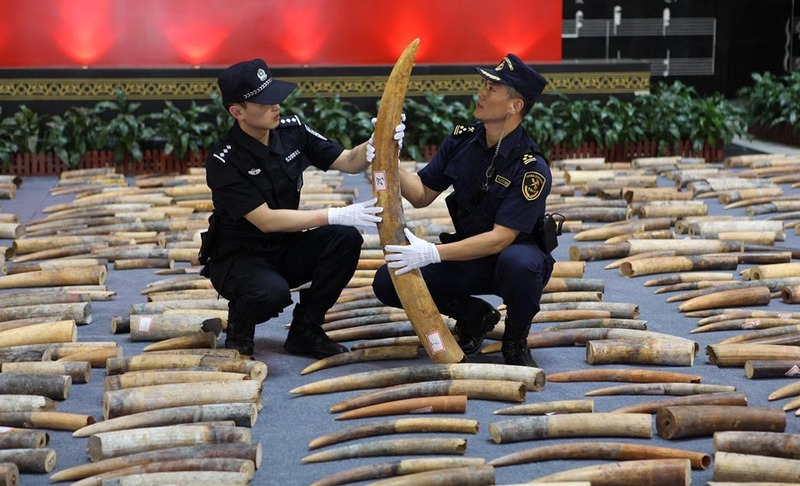 The General Administration of Customs said nearly 7.5 tons of ivory (about 2,700 tusks) were seized during a joint operation carried out on March 30. In connection with the case, 20 suspects have been taken into custody. During a press briefing, Hu Wei, vice-minister of the General Administration of Customs, said they would continue to crack down on smuggling activities. This year so far, the General Administration of Customs has conducted 53 operations against ivory smuggling and seized some 8.5 tons of ivory products in the process. The General Administration of Customs has also vowed to step up its efforts and plans to develop a smart system so that the clandestine ivory products can be identified. The General Administration of Customs further said it is also heavily reinforcing cross-border check-up inspections.As part of its ongoing wildlife protection efforts, China banned trade of all domestic ivory products since the beginning of last year but despite that smuggling of ivory continues in the country. According to a survey by WWF, there was a 54 per cent decline in China’s ivory product demand and transactions as of September last.